India and Pakistan go hand in hand when it comes to Fashion. Long Straight Cut Suits which are now in Fashion actually started it first launch in Pakistan. 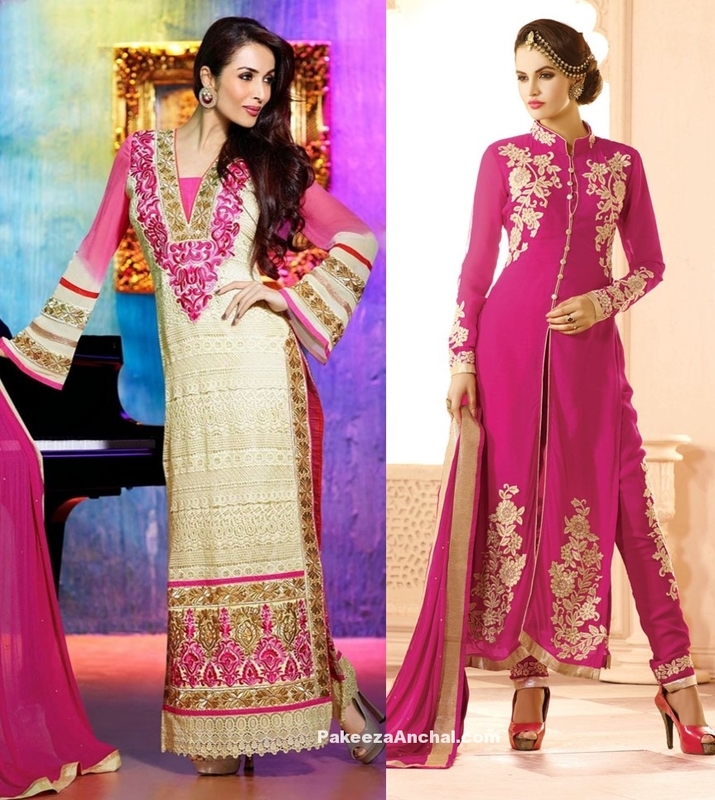 Women prefer Straight cut suits Latest collection of Pakistani long straight Cut salwar suits in varied colors, styles and designs and love to wear them. Rich Class Girls and people wear these Pakistani straight cut Salwar Suits at home and look beautiful. Straight cut suits look awesome on every woman. It fits to any type of body and you will feel pretty wearing the light weight straight cuts. Its also affordable when compare to other heavy dresses and also available online at cheap price. Sagarika Ghatge from ‘Chak De India’ fame was seen Off Screen after a very long time. 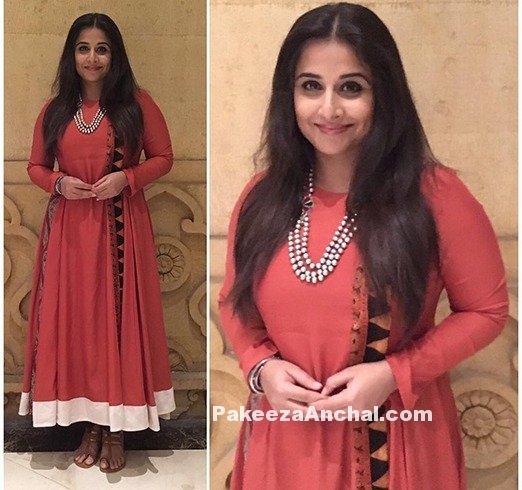 She was seen during Yuvraj Singh & Hazel Keech Reception wearing a White Full sleeved Floor Length Anarkali dress with Golden Print. She paired it with heavy earrings and dark red lips for the event. She is said to be dating Zaheer Khan. Geeta Basra was all dresses up in Peach colored Outfit with Floral design all over the attire designed by Manish Malhotra. She was attending Yuvraj Singh & Hazel Keech Wedding with her husband Harbhajhan Singh. She looked gorgeous wearing this outfit with a huge plunging neckline and stylish Mang Tika with minimal make-up.